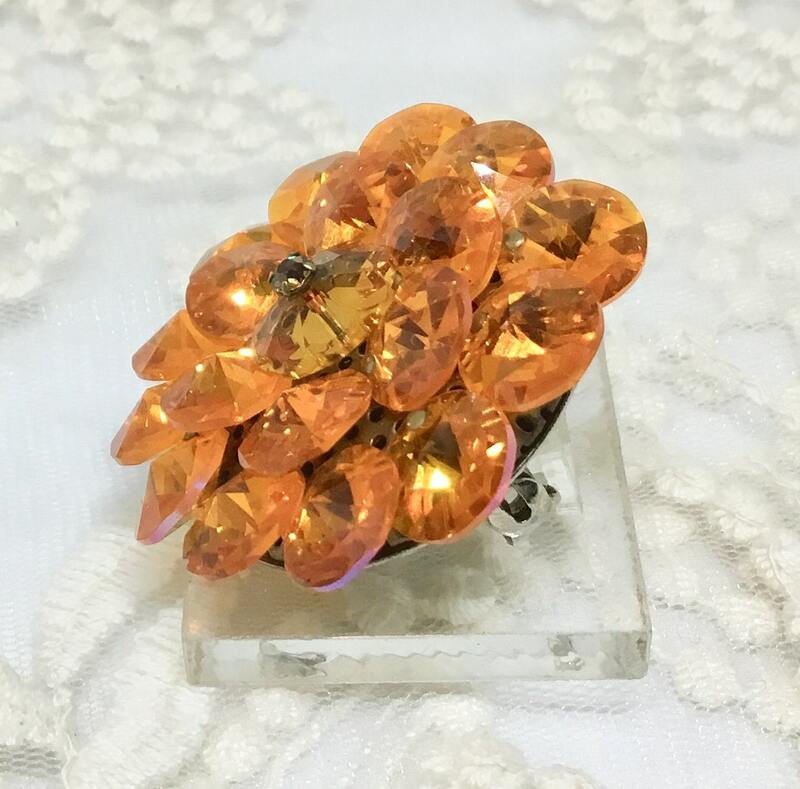 This is a wonderful vivid orange 1960s vintage rivoli and margarita brooch. 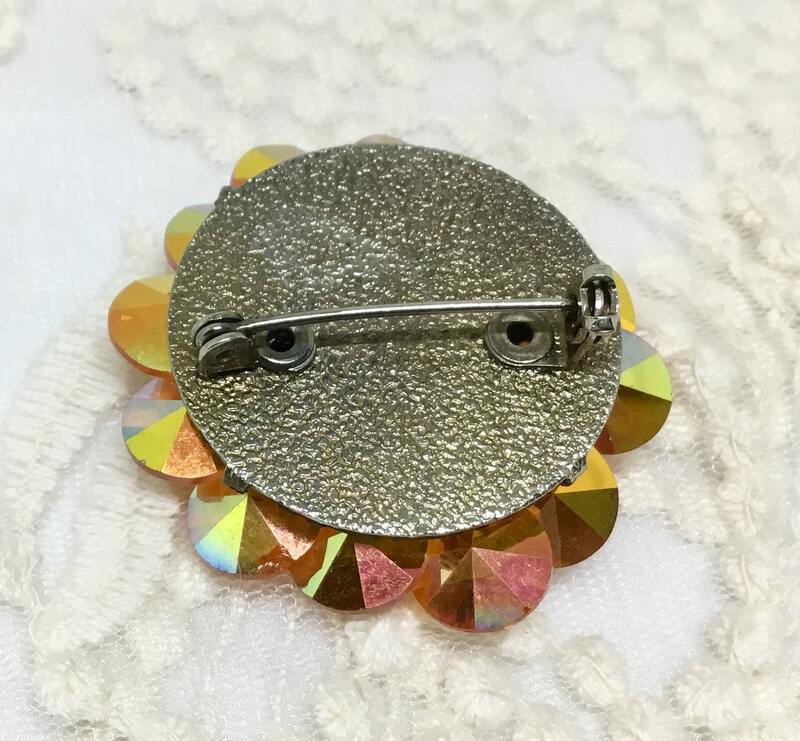 There is a goldtone disc that holds the pinback on one side and a goldtone metal dome with holes prong set to the other side. 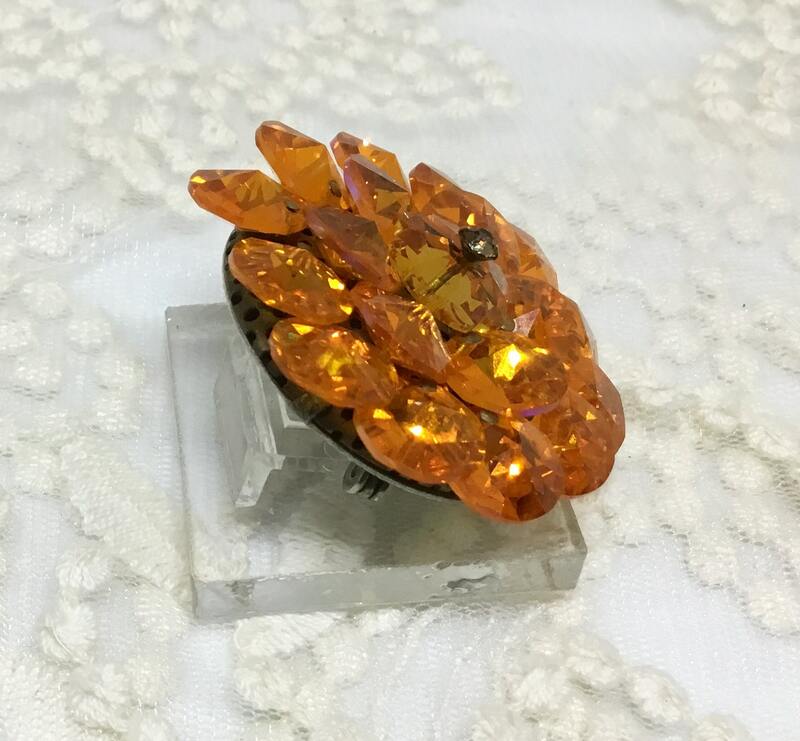 There are two layers of rivolis with each wired through the holes. 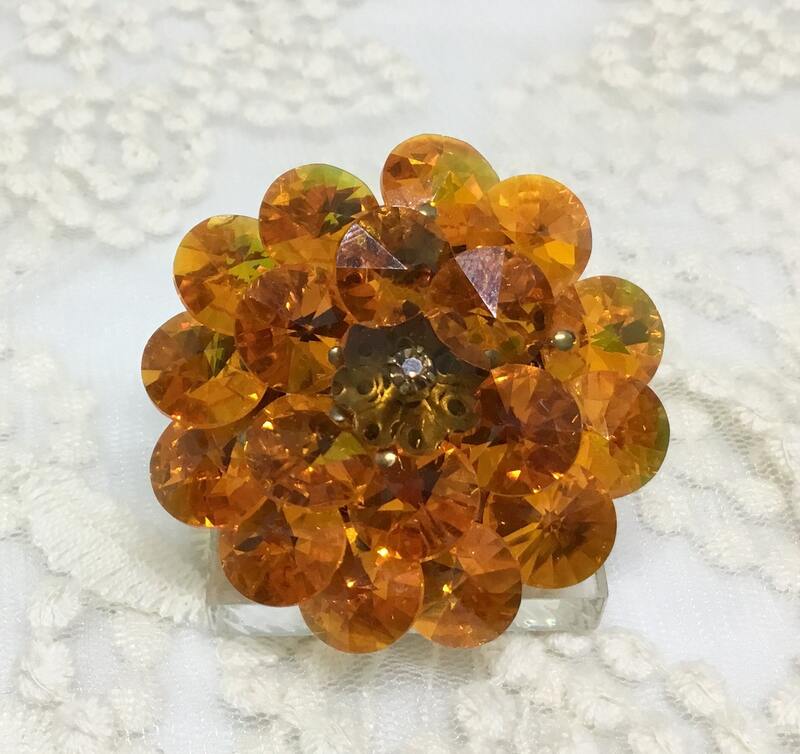 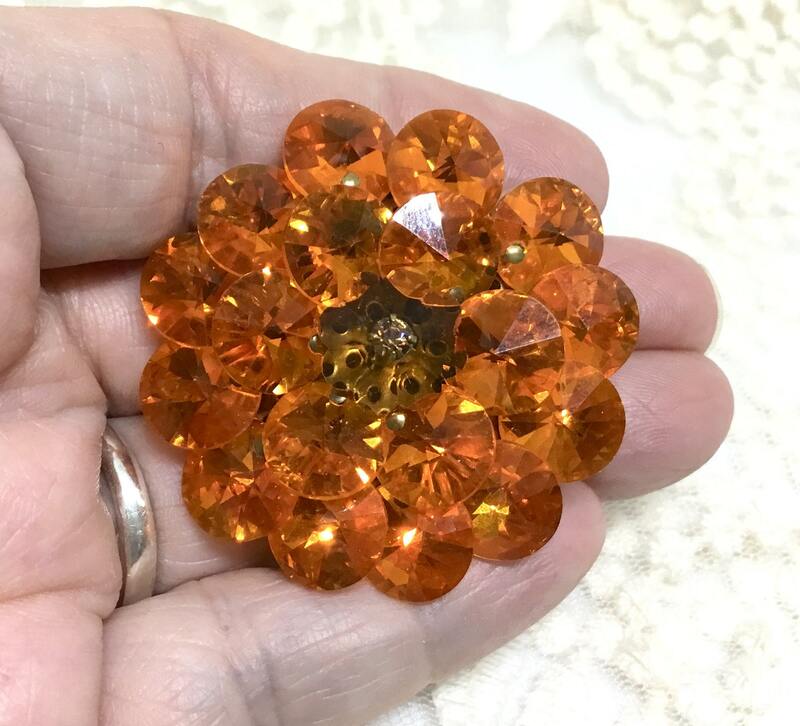 There is also a center margarita rhinestone that has a center headpin with a tint amber rhinestone. 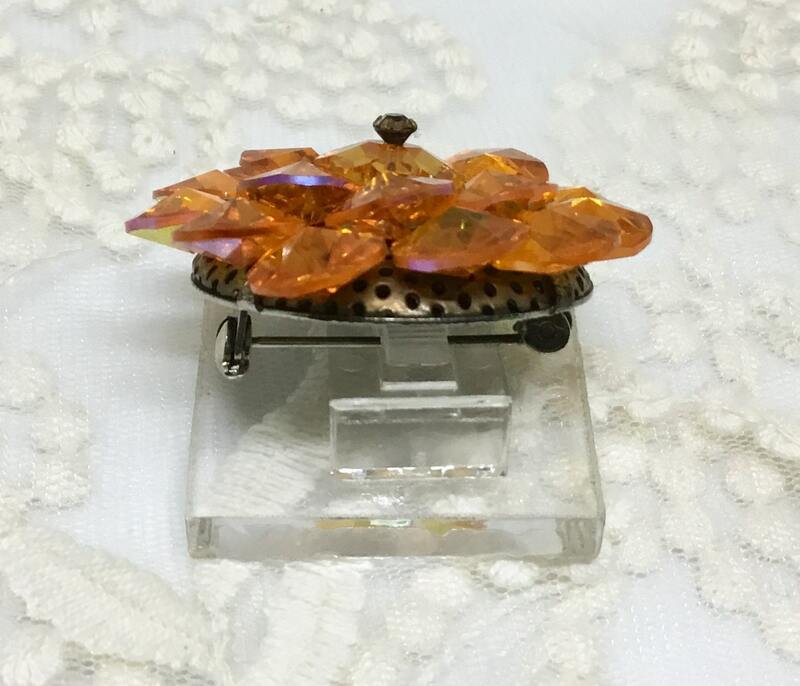 It measures 1 3/4” in diameter and the pinback is straight and works smoothly and securely. 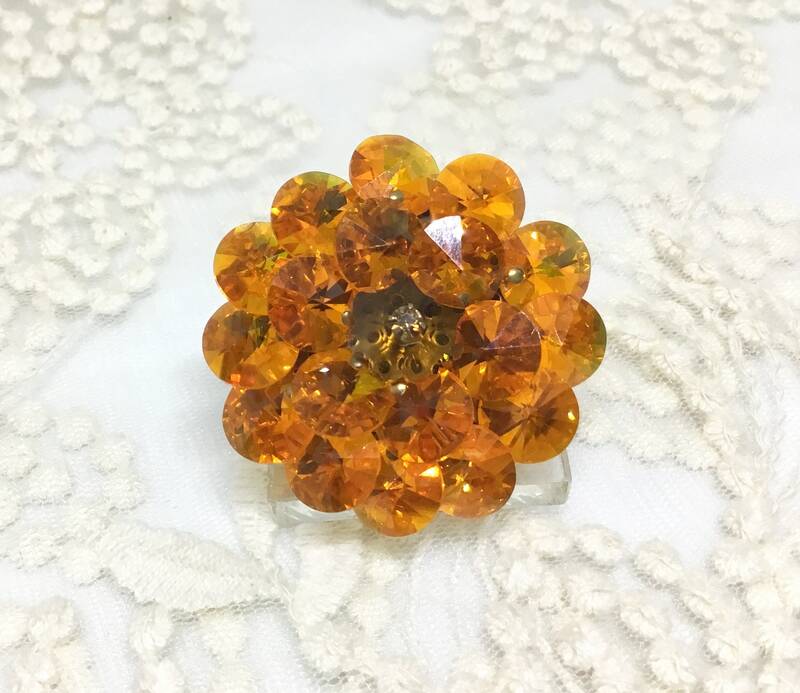 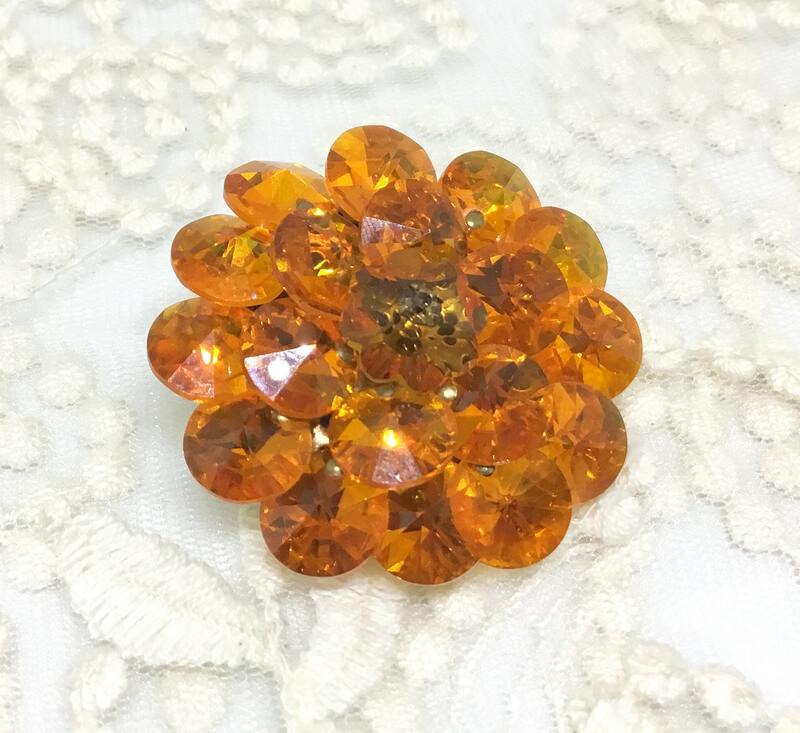 This is a small brooch that is in great shape and has a big punch with the unusual vibrant orange color!